BuyMars.com was formed for the direct marketing of real estate on Planet Mars. As premier authorized agents of the International Association Of Human Planetary Exploration (IAOHPE), our team of professionals is driven to make your purchase of Mars property a most pleasant and rewarding experience. Buy Planet Mars is dedicated in keeping you up to date with the latest information concerning your purchase as well as special offers brought to you only by BuyMars.com. All records of Lunar Land Registry will be stored at the International Association Of Human Planetary Exploration (IAOHPE). Soon Buy Planet Mars will be bringing to market other celestial lands in our Solar System. Due to possible limited availability, current Planet Mars owners will be notified immediately in order to reserve their possible future property in other lands. If you would also like to be contacted to be one of the first owners of land on other planets and moons, subscribe to our newsletter at the bottom of this page. You will be notified upon availability. 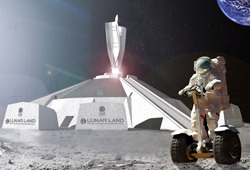 Please join our newsletter for more information about the Lunar Land's future projects. Buy Mars is staffed with Customer Service Representatives dedicated to assisting you in any manner, all inquires will be responded within a 24-72 hour period. Most matters are handled immediately. BEWARE of other phony 'Lunar' companies selling Planet Mars property. They might seem legitimate but the Lunar Land company is the world’s most recognized Celestial Real Estate Agency and has been selling land on Planet Mars for decades. Lunar Land is one of THE FIRST companies in the world to possess a legal TRADEMARK and COPYRIGHT for the sale of extraterrestrial property within the confines of our solar system. You could be purchasing a worthless piece of paper if you are not purchasing Planet Mars land. Over 5,000,000+ people from 176 countries around the world own extraterrestrial property from the Lunar Land. To date, more than 300 million acres of land on Planet Mars have been issued to individuals and corporations.